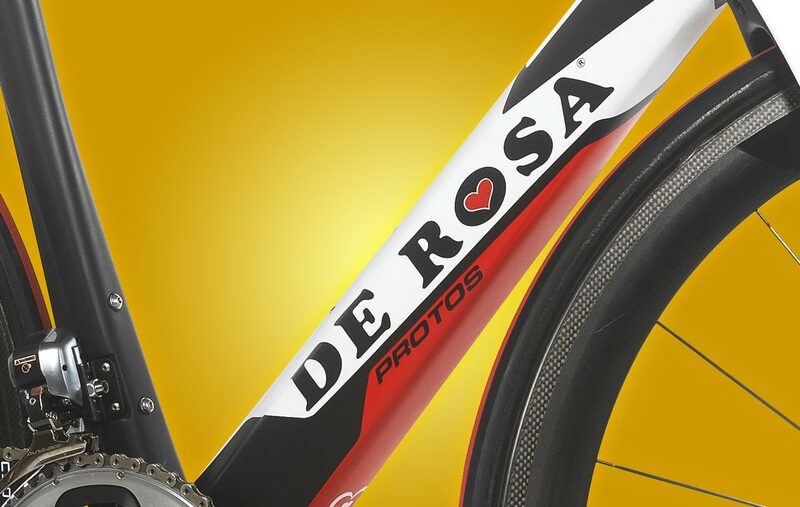 The Protos is the culmination of De Rosa's 60-year history of crafting some of the world's finest bicycles. 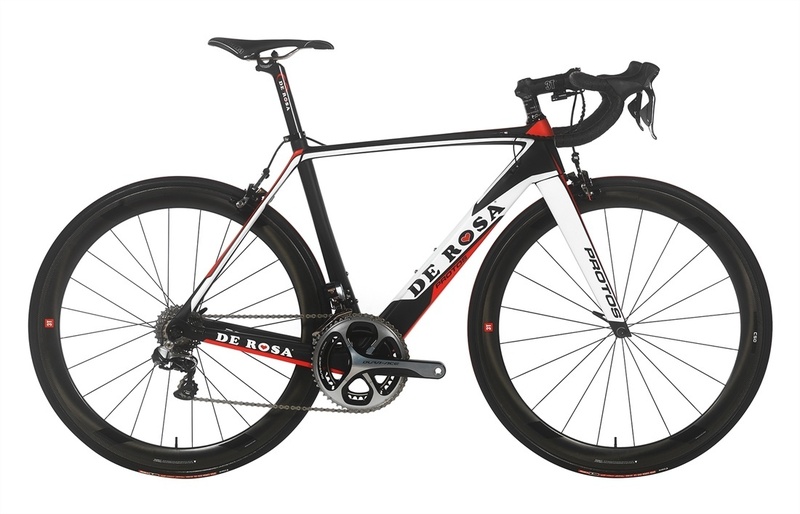 The carbon for each Protos is hand-selected and hand-layered at De Rosa's factory in Milan by the company's small number of gifted engineers. 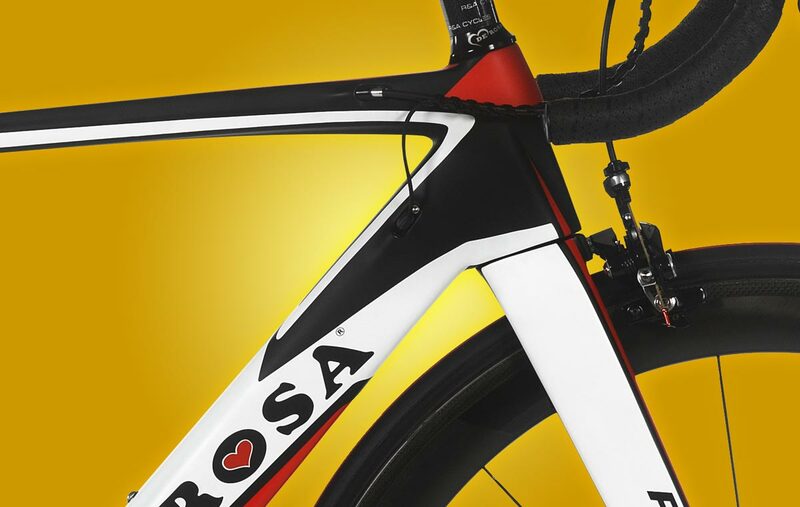 The striking and purposeful design of the Protos speaks directly to the frame's performance, as the massive downtube illustrates. 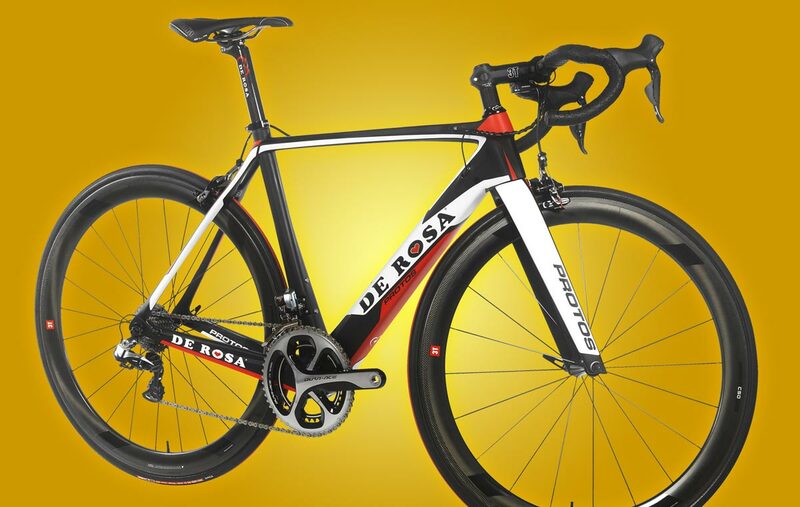 The Protos is up to a staggering 35% laterally stiffer than its mainstream competitors. Simply step on the pedals, and it rockets forward. The Protos does not try to be an everyday bike for an everyday rider. The engineers intentionally did not soften the ride of the Protos too much, because the racers for which it is designed like to feel their speed over the road, for maximum control and communication with the bike. 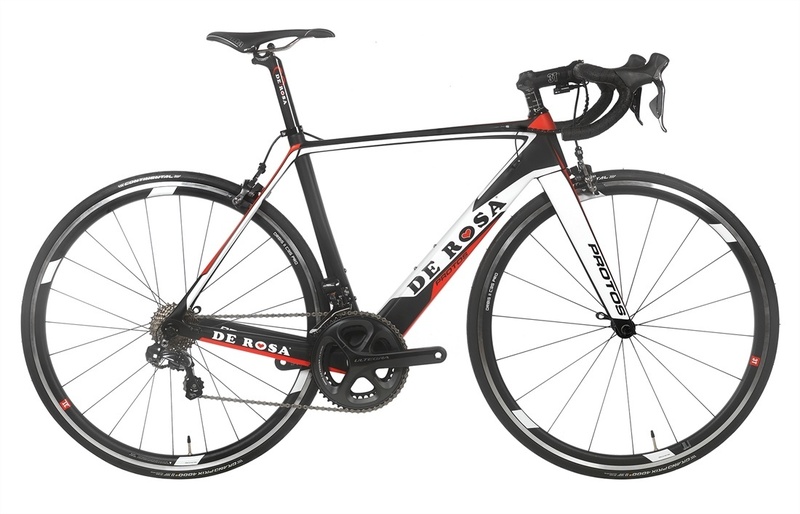 Unwilling to water down their production process to hit big numbers, De Rosa has always maintained tight control over their factory's output, rejecting huge sales goals, and instead focusing on quality and promising an entirely unique bicycle – and bicycling experience. Our entire Protos inventory is currently on sale. 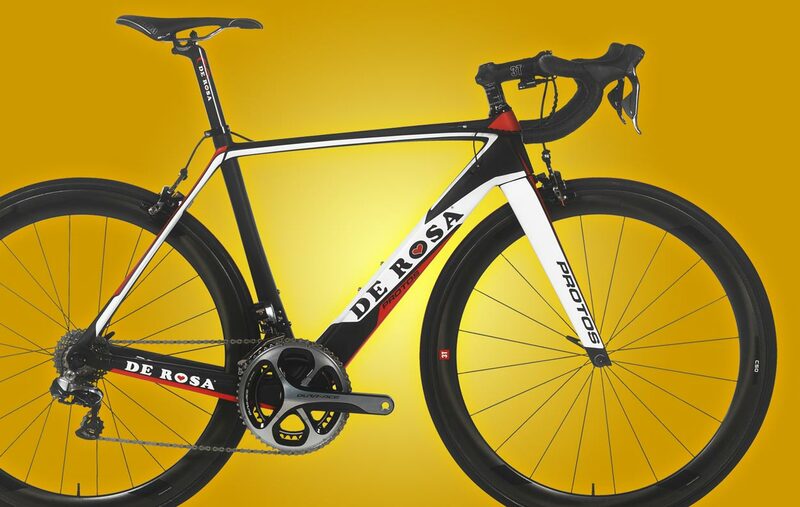 Have questions about the De Rosa Protos?